On June 18, the Canadian government’s National Energy Board (NEB)–an independent economic regulatory agency for pipelines, power lines, and oil and gas importation–imposed further conditions on Enbridge Inc.’s controversial Line 9B pipeline reversal project, stating that it must perform hydrostatic testing along three of its segments before it officially begins shipping crude oil. 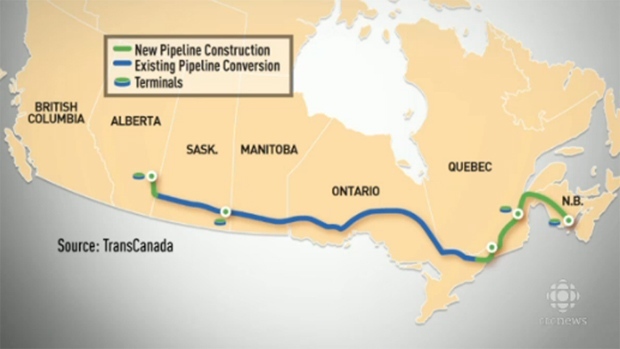 The thirty-eight-year old pipeline that runs between Sarnia and Montreal was supposed to begin its operations last Fall. While the NEB has reported only seven oil spills, a CTV W5 investigation revealed last year that Line 9B has had at least 35 of such incidences. This aging pipeline, along with others in Ontario, continue to affect the nearby ecosystems, lands, and waters that Indigenous and other communities live and thrive on. 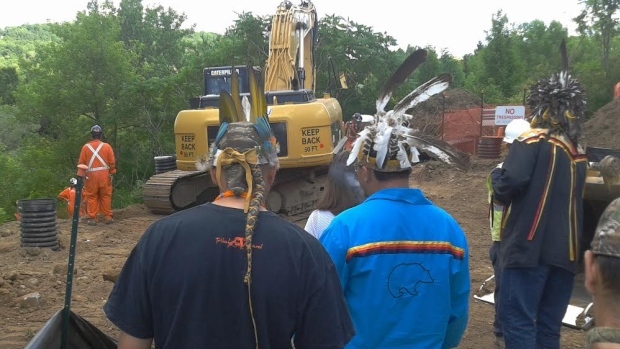 “It’s an industrial genocide [against Indigenous people]. These companies are on stolen land. 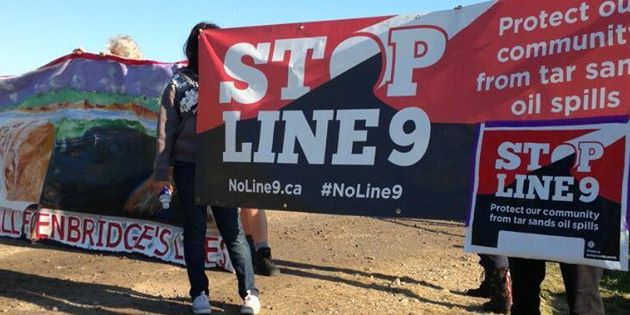 They continue to release and spill and expand with more projects that continue to put our health at risk,” said Vanessa Gray, a member of Aamjiwnaang and Sarnia Against Pipelines, in an interview with CKUT’s Emma Noradounkian. She discussed how this project threatens Indigenous communities and ways of resisting the pipeline project and other pipelines in the province of Ontario. Today July 3rd, students and youth across Canada are turning up the heat. They are demanding that politicians across the political spectrum get serious about climate change, with sit ins confirmed across the country in 7 offices happening simultaneously. 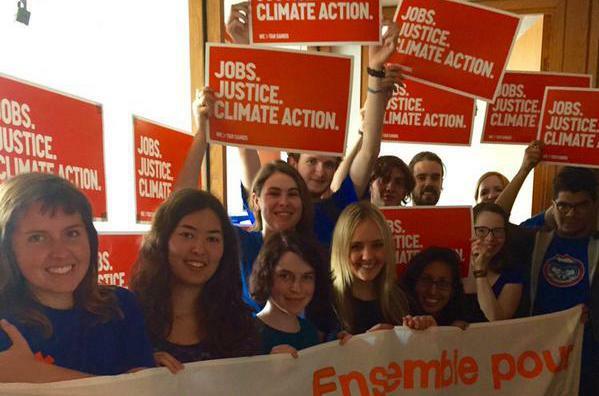 In Montreal, over 20 local youth have staged sit-ins at NDP leader Thomas Mulcair and Liberal Party of Canada leader Justin Trudeau’s Montreal constituency offices to call on the party leaders to commit to freeze tar sands expansion and drive a transition to a renewable energy economy in Canada. CKUT member Anouk Millet talked with Kristen Perry, a member of the sit-in at Thomas Mulcair’s office, and Julianna Duholke, who participated to the sit-in at Justin Trudeau’s bureau. Jean-François Larose est deputé fédéral pour la circonscription de Repentigny, co fondateur de Forces et démocratie, opposé au pipeline Énergie Est, également opposé au contexte politique qui appui le pipeline. Le voici en entrevue avec Leila Lemghalef. 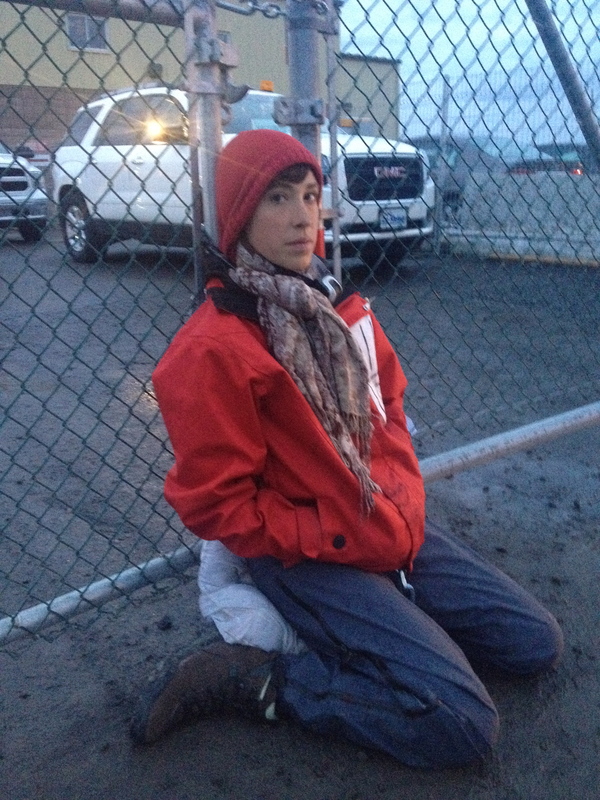 Alyssa Symons-Bélanger with her neck locked to the gate of a Suncor oil refinery in Montreal. Photo: Aaron Lakoff. At around 6:30am on October 7, four women locked themselves to the games of a Suncor oil refinery in Montreal’s east end to take direct action against the tar sands and Enbridge’s Line 9 pipeline. 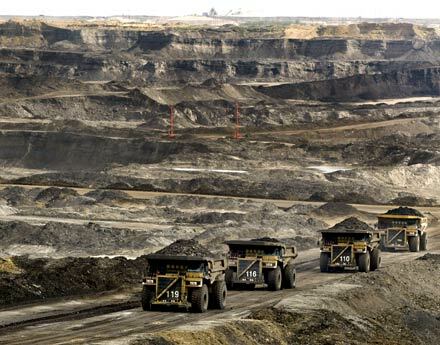 Enbridge is hoping to reverse the flow of Line 9 by November 1st in order to bring tar sands Bitumen from the west towards the east. However, a series of direct actions in the last couple months along the pipeline’s route in Ontario and Quebec might be causing this oil transportation company some problems. CKUT’s Aaron Lakoff was reporting live on the scene when the blockade occurred, and spoke with a spokesperson Alyssa Symons-Bélanger about the group’s motivations on the Tuesday Morning After Show. Jesse Kerr – Jesse is one of the organizers for Peoples for Mother Earth, and one of the individuals walking the whole 34 days. Jesse is originally from British Columbia where they were involved in numerous protests and demonstrations for the environment and specifically against Enbridge and the northern gateway pipeline. Audrey Yank – Audrey is a climate justice organizers with the groups Climate justice Montreal and la Coalition Vigilance Oléoducs. 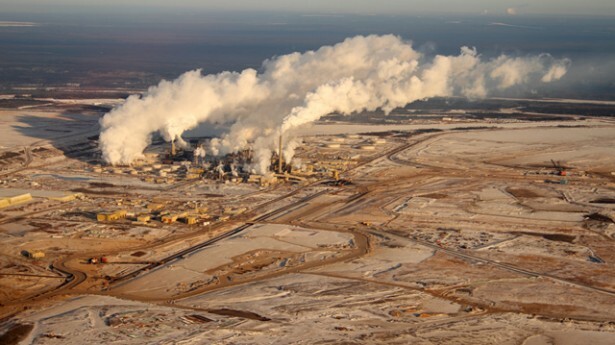 Patrick Bonin – Patrick is with Greenpeace Quebec, who have been engaging in actions and campaigns against the Alberta Tar sands for several years. Vanessa Gray, a youth activist from the Aamjiwnaang First Nations reserve near Sarnia, in what is known as Ontario’s “chemical valley”. 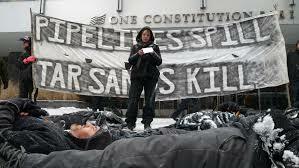 She is a tireless activist for First Nation’s land defense, and against Enbridge’s Line 9 reversal proposal. On Friday, April 11th, indigenous and environmental groups were outside the Marriott hotel in Montreal to protest the presence of Canada’s new Minister of Environmental Resources, Greg Rickford. Rickford was in Montreal to promote the Enbridge Line 9 reversal project to bring Tar Sands oil to Montreal.